PALMDALE- Authorities have identified the infant who died Monday at a hospital in Palmdale, but said foul play is not suspected. 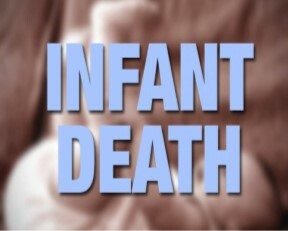 He was 2-month-old Christopher Mundy Jr., according to the coroner’s office. Sheriff’s deputies were notified about 10:15 a.m. Monday, Sept. 3, that an infant was in distress and not breathing at a home in the 1200 block of Date Palm Drive in Palmdale. Deputies and paramedics responded to the scene, and the baby was taken to Palmdale Regional Medical Center where the child was declared dead. Sheriff’s detectives said it didn’t appear that a crime was involved in the death. An autopsy is pending to determine the cause, according to the coroner’s office.